For those who enjoy extra space, our Cove View suites add a special touch to any Cornish seaside break! Enjoy a cup of tea in your own private lounge, catch a movie on the large flatscreen TV or simply soak in glorious coastal views. Thoughtful extras with these suites include homemade cookies, slippers, super soft dressing gowns and fresh fruit on request. Available for double, twin or family accommodation. The Garden Suite is situated on the ground floor with private patio doors leading from the lounge to the hotel garden. Stunning sea and coastal views across to Mullion Harbour, Cove and Island. With additional features such as Netflix enabled television, DVD Player, in room fridges, comfortable fluffy robes and slippers and Nespresso coffee machine, this Sea View Suite is a luxurious treat. The Harbour Suite is situated on the first floor and boasts stunning sea and coastal views across to Mullion Harbour, Cove and Island. With additional features such as Netflix enabled television, DVD Player, in room fridges, comfortable fluffy robes and slippers and Nespresso coffee machine, this Sea View Suite is a luxurious treat. This Three night walking break, mixes the luxury of the hotel with the amazing scenery of Cornwall, guided by Blue badge Holder Tony Downing. 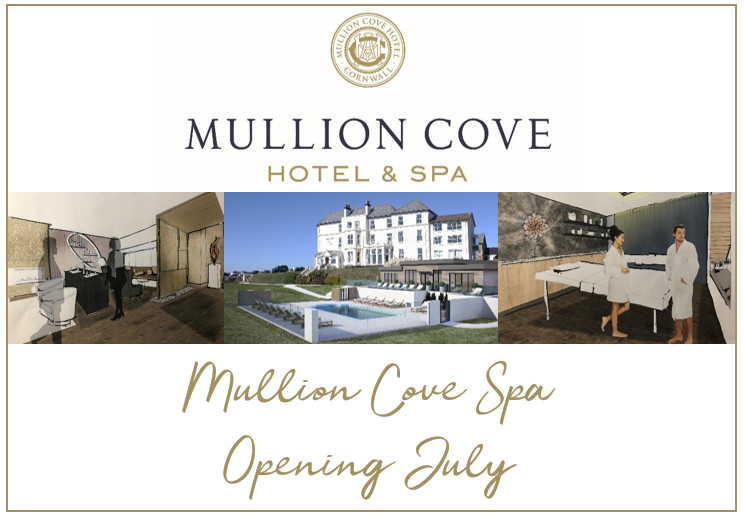 Please contact our reception team on 01326 240328 for more details or to book. This five-day watercolour painting holiday draws on the Lizard’s beautiful surroundings and dramatic scenery, which are a huge inspiration for any artist. Our Seascape painting course with Ray Balkwill includes personal tuition, evening discussions, presentations and dinner, bed and breakfast. Visit Mullion this Spring or Summer and visit some of the wonderful Gardens that Cornwall has to offer. Dinner only £45.00 per person to include Bubbly and canapé reception and three course dinner with coffee. Overnight accommodation from £75.00 per room per night to include breakfast.